RAD provides cost effective solutions for the data communications and telecommunications needs of the power industry. With RAD products like the versatile, robust, flexible Megaplex 2100 or Megaplex 4100 mux, the power industry can meet all of the essential power network communications requirements with minimal investment. Communications are vital for the continuous operation of power plants and distribution of electricity to customers. Reliable transmission of mission critical voice and real-time data between power plant control centers and remote sites is required to integrate all processes and services including network management automation and protection. 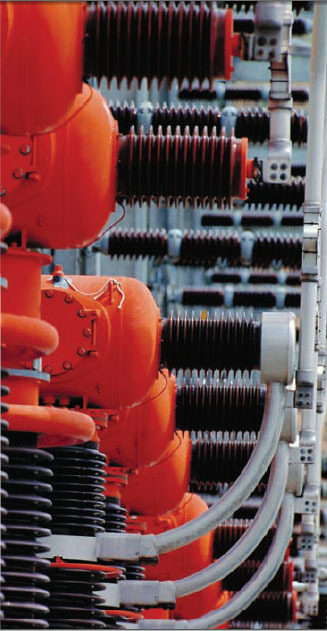 Whether the power plant is based on hydroelectric, coal, nuclear or geothermal energy, RAD Data Communications offers diverse access products to connect remote power stations, control centers or any of the power company's facilities, and to transmit voice and data over the existing copper, fiber or wireless infrastructure. A wide range of interfaces enables RAD products to connect to any type of equipment to create an integrated communications network, whether it is TDM or packet based. RAD devices meet the power industry's unique standards for traditional applications such as SCADA and enterprise-wide voice and data communications systems, as well as new trends in Power Line Communications (PLC) and automatic meter reading (AMR). 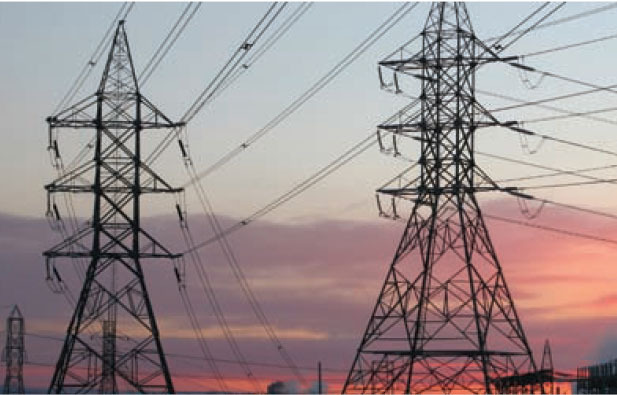 Electricity companies connect their offices and substations to the enterprise-wide network for analog and digital voice and data transmissions. RAD modems, multiplexers and cross connects fulfill power company's needs to transport and / or aggregate single or multiples services ( such as SCADA, PLC, voice and video ) from single or multiple remote sites over the network - leveraging the SDH / SONET, IP, or even ATM infrastructure. For economical multi-site connectivity, RAD products can be used to implement local access rings connected over a redundant, long distance ring. This affords effective, resilient connectivity, saving multiple long distance links. Voice Services are an important aspect of maintaining efficient and save operation of the power utility network. The power utility control center and facilities require resilient, secure and flexible connections of high quality digital and analog voice services. RAD products offer a variety of options for voice transfer and voice service termination over TDM, ATM or IP networks - suing an infrastructure and across different topologies. This includes support for Omnibus services, enabling simple and efficient teleconferencing and emergency message broadcasts, as well as support for analog trunked radio systems. For over a decade, power companies worldwide - including Enel (Italy), Hydro-Quebec (Canada), ATCO Electric (Canada), Perm Energo (Russia), Eletronorte (Brazil), Tanesco (Tanzania), EDP (Portugal), and Taipower (Taiwan) - have been installing RAD products in their power transmission and distribution networks. Leading vendors and system integrators in the power industry work RAD products into their solutions to increase the flexibility of their offerings. With its wide range of communications devices supporting diverse technologies, Cutter Networks can integrate RAD products into virtually any network and tailor the solution to meet the utility's needs. Sophisticated central management tools perform network monitoring, diagnostics and remote configuration. The modularity of RAD devices allows utilities to implement a partial solution at minimum initial investment and expand the network as the need for services increase. RAD products also enable power companies to use their extensive self-owned infrastructure to provide telecommunications services to external organizations, such as business customers. PLC technology cost-effectively transmits data for long distances over electricity lines. PLC data rates vary from low bit rates up to 64 kbps ( or 128 kbps ) over high voltage lines. RAD offers several solutions, already tested and qualified by leading PLC vendors and used successfully by power companies, to carry voice and data services from sites that utilize PLC systems. RAD solutions suite the stringent requirements of PLC equipment regarding bandwidth, granularity and data priority over voice services. Some RAD products enable dynamic bandwidth adjustment in small intervals (down to 300 bps) to correspond to the available bandwidth of the PLC system, which fluctuates according to humidity, temperature and other factors. In SCADA systems, remote terminal units ( RTUs ) aggregate multiple data types from telemetry devices, controllers and other sensors, and transmit them in real time to a central control room over the company-wide transport network. RAD offers connectivity of RTUs equipped with various interfaces - V.24 , G.703 64 kbps co-directional for older systems, or a LAN interface for newer systems - over any available transport network, including SDH / SONET , IP and ATM. RAD solutions comply with the latest industry standards, and are suitable for various connectivity topologies, such as daisy-chain, star or ring. Immediate and reliable detection and reporting of supply failures in power lines is a mission-critical application for power utilities. High speed protective relay systems rely on teleprotection equipment to send and receive transfer tripping commands between substations. In communications equipment and protective relays can be physically located in separate locations. The IEEE C37.94 standard interfaces on RAD equipment provide a fast and reliable standard fiber optic interface directly between teleprotection and telecommunications equipment, thus eliminating the data corruption common to electrical connections. Power transmission and distribution facilities are highly sensitive and need to be protected and monitored. Video surveillance is required in and around substations, transformer stations, power plants, and various unmanned locations. RAD's data/voice multiplexers, cross connects and modems provide Ethernet extension to transfer IP-based video services, and to enable connectivity to external DVR and video surveillance management centers. The multiplexers can aggregate Ethernet video transmissions over the SDH / SONET or IP transport network. Traditionally, power untilites relied on TDM networks for all of their communications needs. RAD products offer an easy migration path from TDM networks to packet-switched networks, based on TDMoIP technology - an industry standard pseudowire transport technology developed and patented by RAD. Even when the core network is replaced, existing TDM equipment can remain untouched, reducing network expenses without compromising functionality or services. Terrestrial Trunked Radio (TETRA) is a digital trunked mobile radio standard developed by the European Telecommunications Standards Institute (ETSI). TETRA meets the needs of traditional Professional Mobile Radio (PMR). Power utilities replacing their old analog PMR with modern digital TETRA systems can use RAD products for TDM or IP backhauling of TETRA traffic, over resilient and redundant ring topologies.